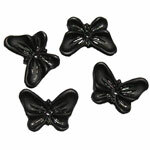 Lucite butterflies are a great way to add that little spash of playful color to any design. Click on image to see all styles. Click on image to enlarge. All image colors will vary due to your individual monitor settings.